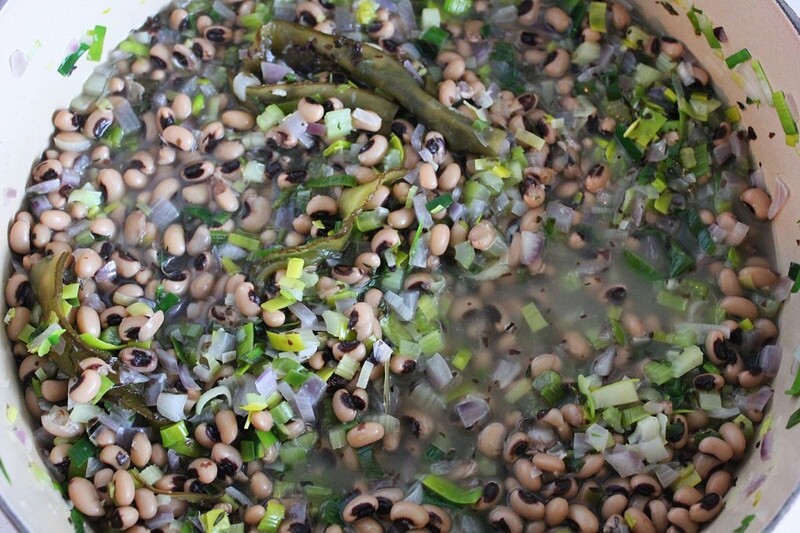 To many people, eating black-eyed peas on New Years Day is considered good luck. Even if you don’t consider yourself overly superstitious, a cancer diagnosis in the family can leave you suddenly making wishes on every fallen eyelash and picking up pennies off the sidewalk. So if you are feeling as though an injection of luck would be a good way to kick off your New Year, I have a delicious way for you to do so. There will also be kale. 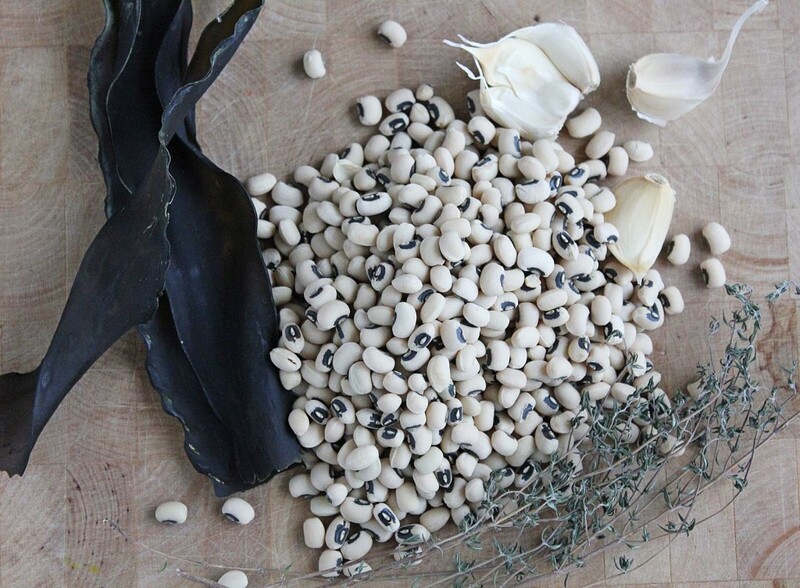 I love black-eyed peas. They are nice and small so they don’t take forever to cook and they become very creamy once cooked through. They are also high in protein, and offer kidney and adrenal support. 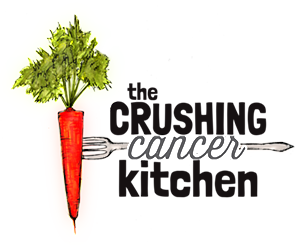 This is great news for anybody but is specifically useful for people with cancer because fear is known to affect the kidneys and stress is often responsible for squashing your adrenals. 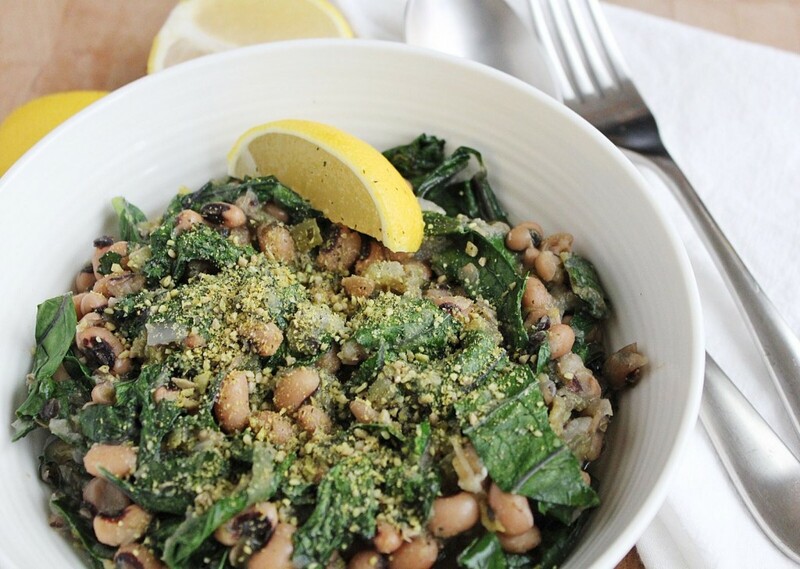 Fear and stress are obviously common emotions for those with cancer in their lives, whether directly or indirectly, making this dish a pretty deliciously supportive and grounding way to start the New Year. Just because we’re already headed down this road, let’s talk about the musical side of the bean world. 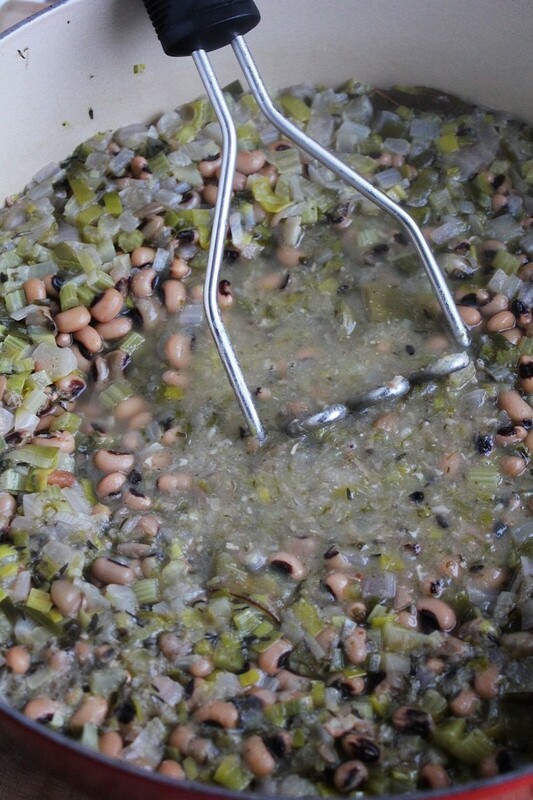 Buying your beans dried, soaking them in water with a splash of raw apple cider vinegar for 12 hours is a good start to making them less gassy. Simmering them (not boiling, not slow cooker-low heat either) in water with a sheet of kombu helps too. Kombu is a a type of kelp that is a natural source of glutamic acid and a tenderizer, adding plenty of its own vitamins, minerals and trace minerals. 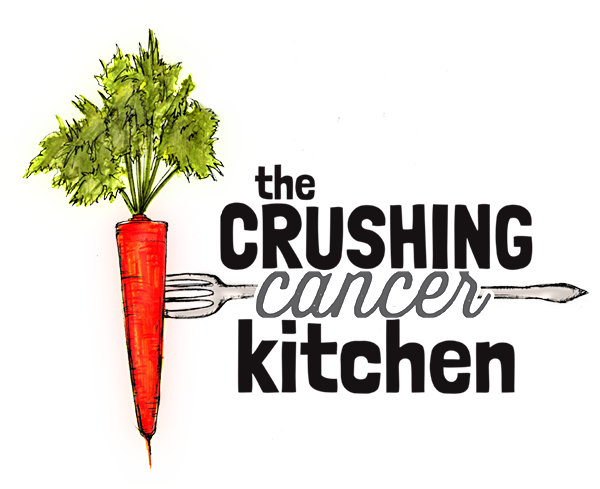 It helps to lower the gas potential of the beans and is also a source of iodine, supporting the thyroid, which can become weighed down by cruciferous veg, the cancer-crushing superstars. It helps to create a little balance. Maybe it’s good luck too? 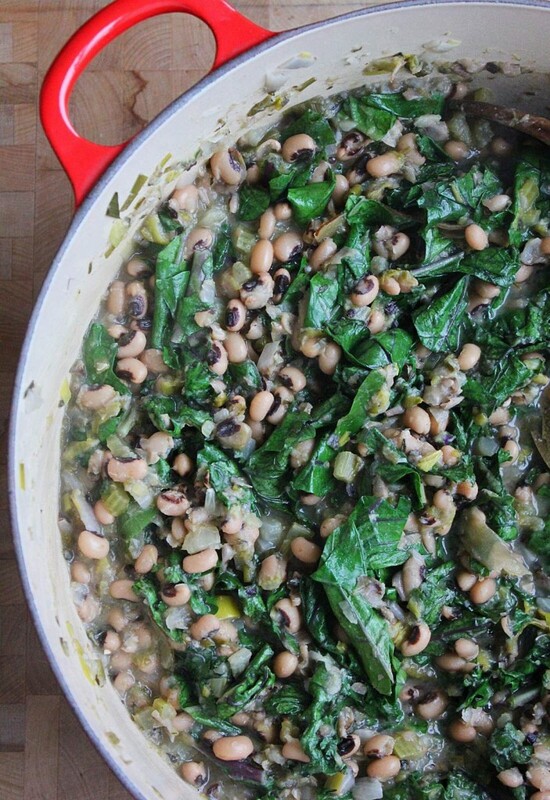 All of this talk of luck and nutrition might leave you suspicious of the dish itself. It is absolutely delicious in that cozy, simple kind of way. It tastes like wholesome, warming food on a smugly hang-over-free New Years Day spent in your pjs, doing puzzles. In a wide bottomed-pot or sauté pan, sauté the onion, leek, celery, garlic, bay leaf and thyme in the coconut oil with a splash (1/4 c) of water, until translucent. 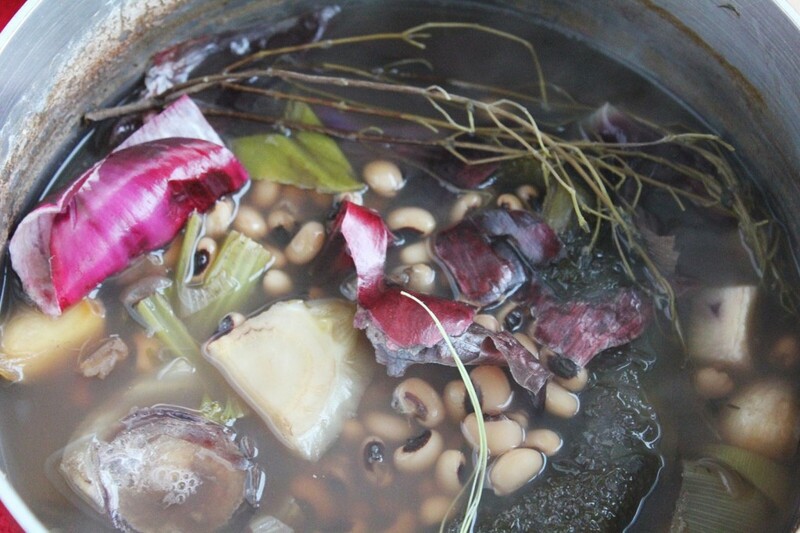 Add the cooked black-eyed peas, the garlic from the bean water (peeled), water and kombu. Using a potato masher or an immersion blender, mash or blend up some of the beans to make them creamy, leaving the majority of the beans whole. Add the greens and stir and fold them into the hot beans until they start to wilt down. 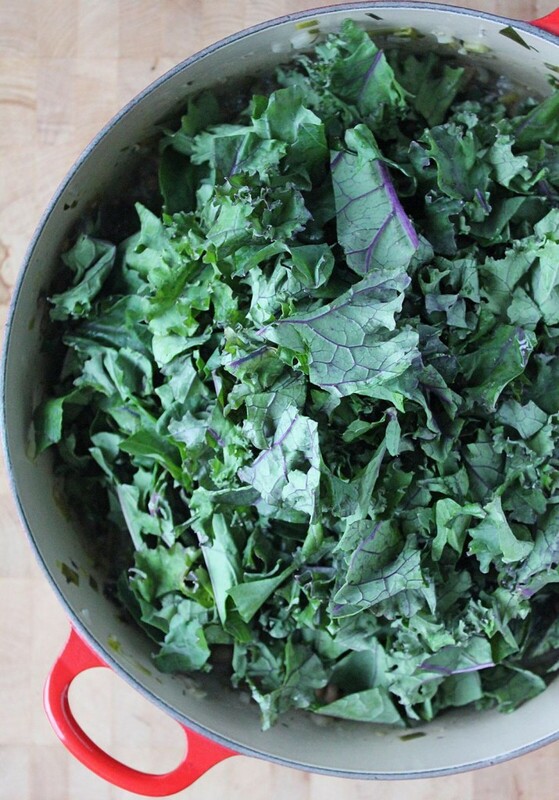 Once the greens are wilted, adjust seasoning and finish with lemon juice, zest and parsley. 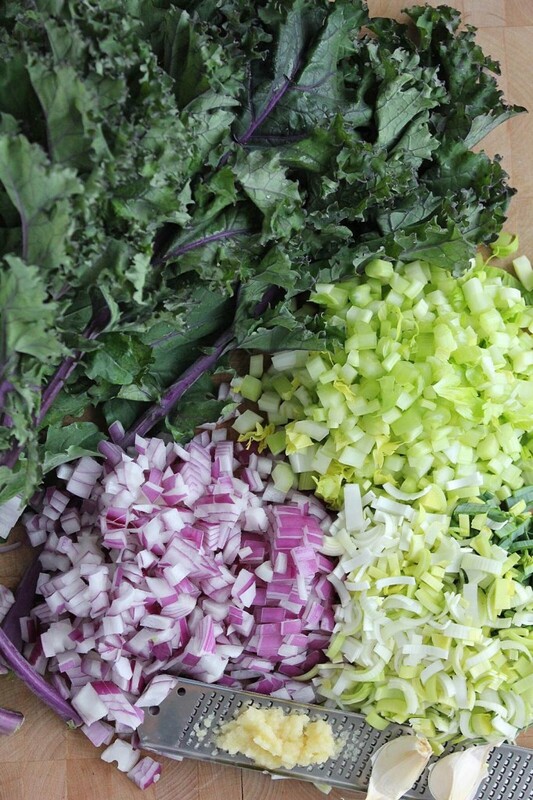 The lemon juice will turn the vibrant greens more brownish green with time. Don't worry about it, they will actually taste even better tomorrow or the next day. You can leave the beans at the partially mashed stage, pre-greens, lemon and parsley if you are making this in advance. That way you will ensure bright, beautiful greens for your meal recipients.